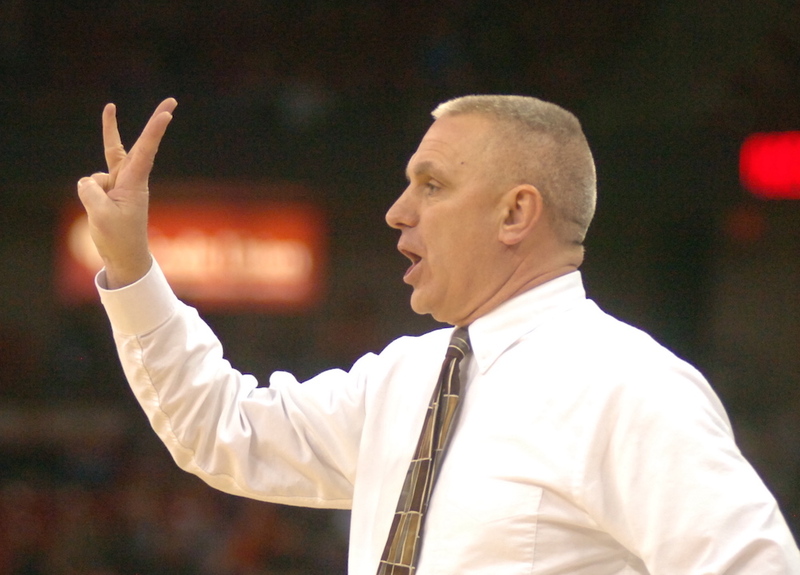 KAUKAUNA — Mike Schalow, who led the Kaukauna High School boys’ basketball team to a Division 2 state championship in March, has been named the 2015-2016 Wisconsin High School Boys Basketball Coach of the Year. The award is presented by the Wisconsin Basketball Coaches Association (WBCA), who invited Schalow to present Oct. 7, 2016 at the WBCA Fall Clinic, where he spoke about skills development for high school players. The 2015-2016 Galloping Ghosts not only earned the state title, but in the championship game, set a record for the largest margin of victory in the Division 2 state championship game (29 points) and tied the record for most points scored in a Division 2 State Championship game (81 points). The team’s average margin of victory in the post-season tournament was 25 points, and every player on the roster made an appearance in every tournament game. This same team, under Schalow’s leadership, finished their season with a 26-2 record overall, and a 16-2 record in the Fox Valley Association, outscoring their opponents by an average of 16.1 points per game. Schalow’s current team enters the 2016-2017 season ranked second in the state, and are favored to win the Fox Valley Association Conference. Schalow is in his 31st year in education, 22 of which have been at Kaukauna High School. Prior to Kaukauna, he coached at Leland and Dakota High Schools in Illinois and was a graduate assistant at Northern Illinois University. Since coming to Kaukauna, Coach Schalow has maintained a record of 320-170. His teams have earned Fox Valley Association Titles in 1997, 2008, 2010, 2012 and 2016. The 2001 team reached the state tournament for the first time in the Kaukauna basketball program’s history and the 2012 team earned a spot as runner-up in the 2012 State tournament. The highlight came with a 2016 State tournament championship title. 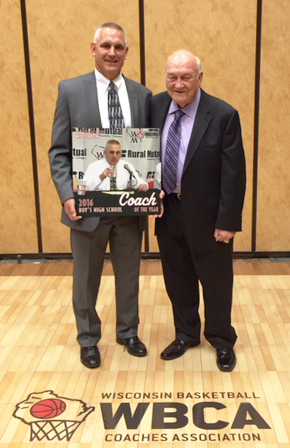 In the fall of 2015, Coach Schalow was honored with the WBCA’s Steve Randall Coaching Award for integrity, passion and professionalism. That same year, he was inducted into the Kaukauna High School Athletic Hall of Fame. Coach Mike Schalow with WBCA Executive Director Jerry Petitgoue in October 2016. 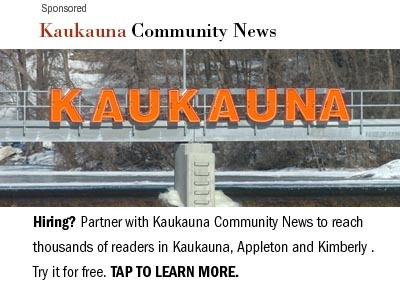 What time is Kaukauna trick-or-treat 2016?